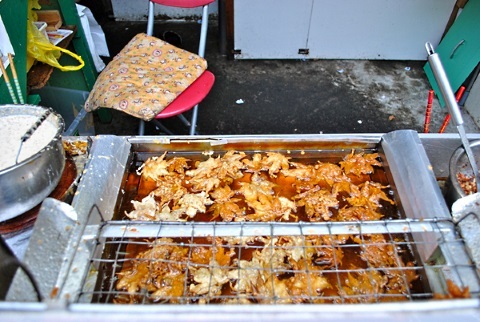 Slightly sweet, fried maple leaves are big in Japan. As fall colors swirl around us, and the air gets crisper, there’s really only one appropriately-seasonal treat out there. Spoiler alert: it’s not #PSL. 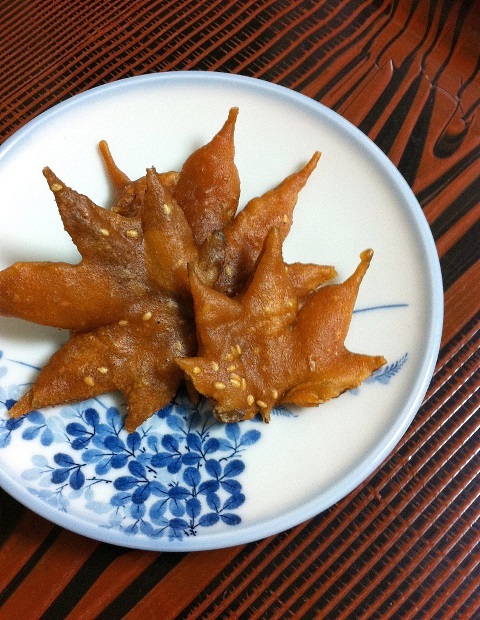 It’s a Japanese snack called momiji tempura, or deep-fried maple leaves made with a sweet tempura batter. 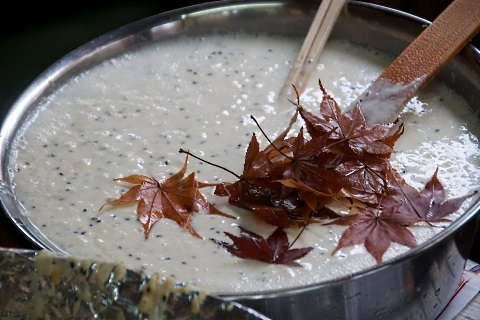 Although fried maple leaves are a 1,000-year-old tradition, you can’t get this treat just anywhere in Japan. The most popular place in Japan to find momiji tempura is the city of Mino, which is known for its stately and beautiful Japanese maple trees, according to Kotaku. As you might expect, these leaves aren’t simply gathered off the ground, battered, and fried. Instead, they’re first preserved in salt for a year. 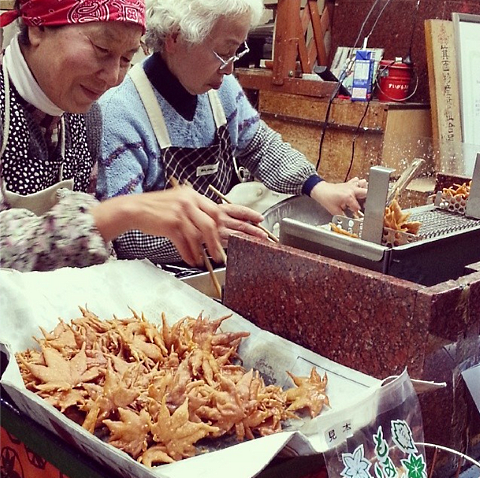 Momiji vendors then dunk the preserved leaves in a secret tempura batter recipe and fry away for about 20 minutes. The batter is usually sweet, and sometimes contains sesame seeds. So while you’re looking at beautiful changing foliage colors, you can simultaneously be stuffing your face with delicately-fried maple leaves. We don’t think it’s possible to get much more autumnal than that. Like most fried things, they taste best when they’re fresh. But you can apparently also buy them in packages, if you want to take some autumnal deliciousness to go. Now for the most important question: how do they taste? 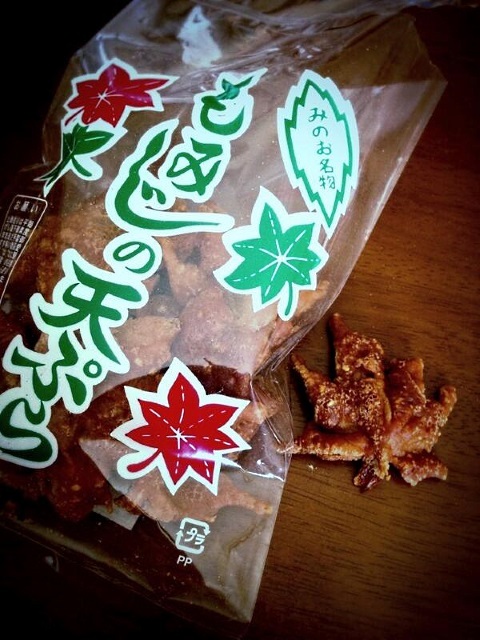 Quartz did their own experiment with frying up some momiji-style maple leaves in NYC. They said theirs tasted “like fried dough, or funnel cake, albeit with an odd, thin crispy layer at the center.” The Quartz staff has included the recipe they used, so you can definitely try to make your own at home if the sheer seasonality moves you. That leaves (har har) only one legitimate question: why isn’t this the official snack of the Toronto Maple Leafs? Pair with a Molson at Air Canada Centre and you’re good.